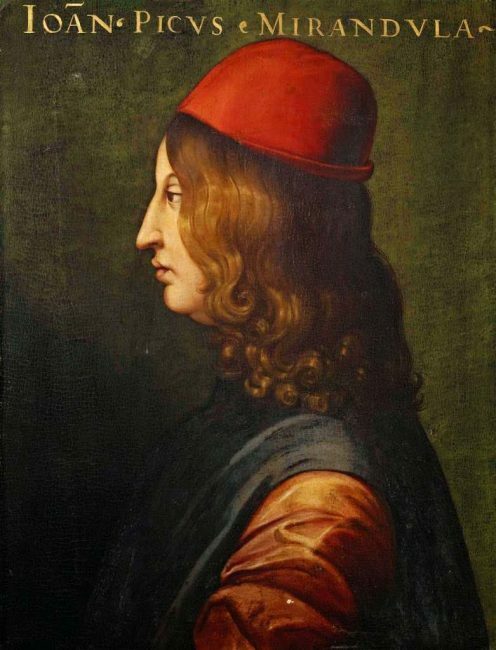 On February 24, 1463, Italian Renaissance philosopher Count Giovanni Pico della Mirandola was born. He is famous for, when at the age of 23, he proposed to defend 900 theses on religion, philosophy, natural philosophy and magic against all comers, for which he wrote the famous Oration on the Dignity of Man, which has been called the “Manifesto of the Renaissance“, and a key text of Renaissance humanism and of what has been called the “Hermetic Reformation“. Who was this Renaissance Philosopher? Who was this impressive Renaissance man? Giovanni was born at Mirandola, a small autonomous county near Modena, the youngest son of Francesco I, Lord of Mirandola and Count of Concordia and his wife Giulia. The family had a long and noble ancestry that dates back to the 11th century. Giovanny was a precocious child with an amazing memory. He learned Latin and Greek already at a very early age. His mother intended him, as usual for the youngest sons, for the Church and already at age 13 he went to Bologna to study canon law. But after his mothers death three years later, he switched subject to philosophy at the University of Ferrara. From 1480 to 1482, he continued his studies at the University of Padua in Hebrew and Arabic. In 1485, he travelled to the University of Paris, the most important centre in the whole of Europe for Scholastic philosophy and theology, where he probably began his 900 Theses and conceived the idea of defending them in public debate. He settled in Florence around 1848, where he met humanist philosopher Marcillio di Ficino and rained the patronage of the influential Lorenzo di`Medici. Giovanni prepared for travelling to Rome to publish his 900 theses, but on his way he fell in love with the wife of one of Lorenzo de’ Medici’s cousins. He attempted to run off with the woman, but he was caught, wounded and thrown into prison by her husband. 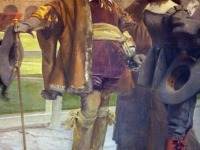 He was released only upon the intervention of Lorenzo himself. Pico based his ideas chiefly on Plato, as did his teacher, Marsilio Ficino, but retained a deep respect for Aristotle. It was always Pico’s aim to reconcile the schools of Plato and Aristotle, since he believed they both used different words to express the same concepts. 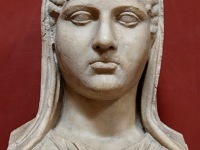 It was perhaps for this reason his friends called him “Princeps Concordiae“, or “Prince of Harmony”. 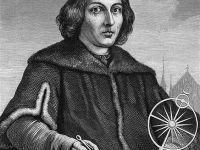 He finished his Oration on the Dignity of Man to accompany his 900 Theses and continued his travel to Rome in 1486 to continue his plan to defend them. He had them published in December 1486 and offered to pay the expenses of any scholars who came to Rome to debate them publicly. In February 1487, Pope Innocent VIII halted the proposed debate, and established a commission to review the orthodoxy of the Theses. Although Pico answered the charges against them, thirteen of the Theses were condemned. Pico agreed in writing to retract them, but he did not change his mind about their validity, and proceeded to write an Apologia defending them, dedicated to Lorenzo. The Pope set up an inquisitorial tribunal, forcing Pico to renounce the Apologia as well which he also agreed to do. Pico fled to France in 1488, but was arrested at the demand of the papal nuncios, and imprisoned at Vincennes. Through the intercession of Lorenzo de’ Medici he was finally released, and the Pope was persuaded to allow Pico to move to Florence and to live under Lorenzo’s protection. Pico settled in a villa near Fiesole prepared for him by Lorenzo, where he also wrote his most celebrated work, the Disputationes adversus astrologiam divinicatrium (Treatise Against Predictive Astrology), which was not published until after his death. In it, Pico acidly condemned the deterministic practices of the astrologers of his day. After the death of Lorenzo de’ Medici, in 1492, in Florence political instability gave rise to the increasing influence of the domenican friar and preacher Girolamo Savonarola, whose reactionary opposition to Renaissance expansion and style had already brought about conflict with the Medici family and would lead to the wholesale destruction of books and paintings. Nevertheless, Pico became a follower of Savonarola. Determined to become a monk, he dismissed his former interest in Egyptian and Chaldean texts, destroyed his own poetry and gave away his fortune. In 1494, Pico was poisoned under very mysterious circumstances and died on 17 November 1494 at the age of only 31. It was rumored that his own secretary had poisoned him, because Pico had become too close to Savonarola. 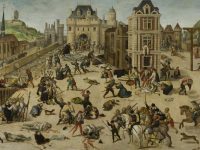 At yovisto academic video search you can learn more about the Renaissance in the lecture of Prof. Dr. Thomas W. Laqueur from Berkeley on ‘The Ranaissance in Western and World History‘. Girolamo Savonarola’s Bonfires of Vanity, SciHi Blog, February 7, 2016.